Room spacious. Restaurant and Tiki Bar very nice. Live music good. Bed was super comfortable. Shower was modern. Porcth was nice. Food at Snappers was higher end seafood and well done, bar was fun. Parking and check in was easy. Cute little room with nice chase lounges outside the room! Beautiful view! Walk in brand new shower! What a great location! Beautiful views from the balcony outside our room. Live Music at the outdoor bar was great and water views were beautiful. We had the seared tuna that was delicious! Location was good. It was the cheapest place we could find. The room was spacious and sort of clean. The view from our balcony was nice. The room was very clean. Nice little place for a one or two night stay. One of our best sellers in Key Largo! Offering a sun terrace and water sports facilities, Snappers Key Largo is set in Key Largo in the Florida Region. Pigeon Key is 1.6 mi away. The accommodations is fitted with a flat-screen TV. Every unit features a private bathroom with a bath or shower. Bed linen is available. 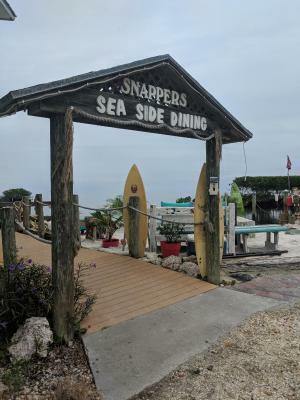 Guests can enjoy a meal at the on-site Snappers Restaurant with live music, followed by a drink at the bar. Guests can rent water sports equipment and enjoy kayaking, paddleboarding and jet skiing. Dolphins Plus Key Largo is 4.3 mi from Snappers Key Largo. John Pennekamp Coral Reef State Park is 8.4 mi away. The nearest airport is Miami International Airport, 54 mi from Snappers Key Largo. When would you like to stay at Snappers Key Largo? 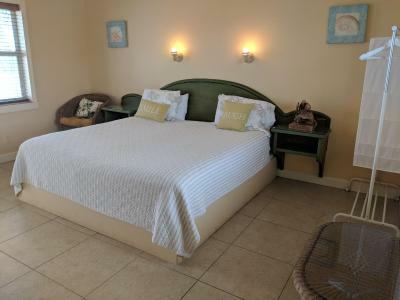 This double room has air conditioning, sea view and private entrance. 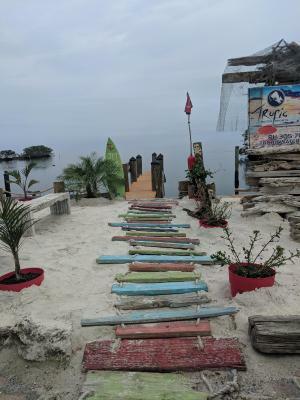 House Rules Snappers Key Largo takes special requests – add in the next step! Snappers Key Largo accepts these cards and reserves the right to temporarily hold an amount prior to arrival. Please inform Snappers Key Largo of your expected arrival time in advance. You can use the Special Requests box when booking, or contact the property directly using the contact details in your confirmation. Location fantastic and good food and atmosphere. Exceeded my expectations. Very co.fortable and genuine. Upstairs over restaurant. Our room only one blocked by roof for view, room 4. Rooms 1,2, and 3 have unblocked waterview. Very basic- bedding was slightly dirty, service In restaurant poor. Beds were comfortable, my most important criteria. Great seafood restaurant and bar on ground floor. Live entertainment in evening. Room had a wooden wind chime in it that made sounds because of the the air conditioner. Just took it down when it was time to sleep. But really that is nothing, and if that is your biggest problem, you are in great shape. The view from the room was almost zero. There was a balcony, but not a nice one. Buildings and bushes blocked the sunrise. Food was only marginally OK. Better wifi connection would be nice. Room wasn't serviced last day. Rooms are above the restaurant, Snappers. The front desk is the hostess stand in the restaurant. We waited with other customers to get seated. When our turn came I felt like I was picking up a take out order. While our room was spacious and clean, our outdoor balcony area was not as nice. There was a dirty mop leaning on a rusted metal art piece against one wall. The outdoor table is filthy and needs scrubbing or tossing! Clean, well kept rooms above an incredible seafood restaurant at an unbelievable price. We will absolutely be staying here again the next time we're in the Keys. The front desk was not particularly helpful seemed more concerned with the restaurant.